Guess where we went on 10th Dec.
Yep, you must have heard. 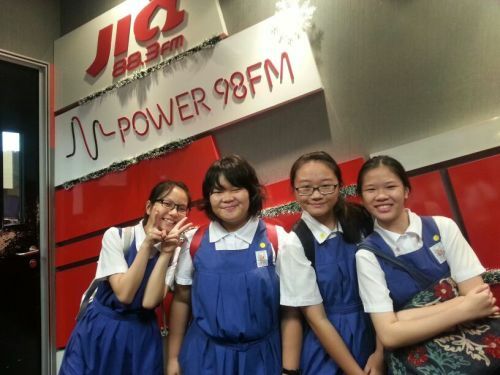 We went to Safra Radio to do our radio recording! The day started with JJ and I getting a ride from Char because we were totally clueless as to how to get there. (Thank you, Char’s mom!) When we got there, we had to got through the whole scanning bags and metal detector stuff etc etc… you know, like the kind in the airport. Yep, high security stuff. After that, we took a picture in front of the logo (I was so surprised we could actually take photos!). The recording should be aired sometime next year in Jan or Feb, so do listen out for us! That’s it from me. Phoebe, over and out!